“Sui generis: Latin for unique, literally of its own kind” Oxford Dictionary. I enjoy nicknames… In one or two words, a complete sense and aura of a person is captured. Serafim Karouzakis, TUI Magic Life Candia Maris hotel General manager (left), together with the doctor of the hotel (right) and the TUI representative, welcome hotel guests to the wine tasting event. 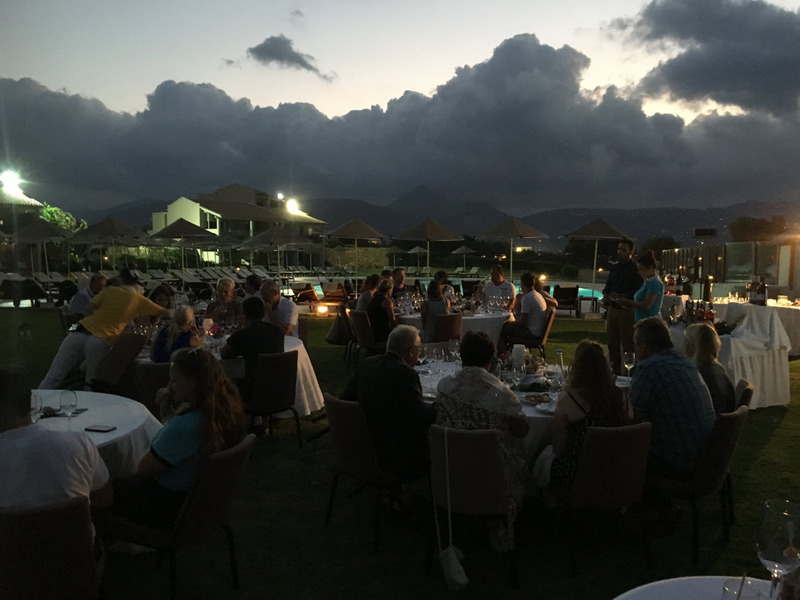 I got to know “sui generis” during the 1st workshop meeting of Futouris project “Connecting Sustainable Winegrowing with the Hospitality Services on Crete” in May 21-22, 2016. Since then, I was present, together with the Local Food Experts team, in several meetings next to “sui generis”. We were organizing the hotel F&B and Guest relation personnel training and the hotel events for promoting the goals of Futouris project in TUI Magic Life Candia Maris, a member of Metaxas Group of Hotels, on Amoudara, Crete. Kostas Bouyouris, of Local Food Experts, tutoring on “Connecting Sustainable Winegrowing with the Hospitality Services on Crete”. This training seminar was addressed to personnel of the F&B and Guest relation departments, at TUI Magic Life Candia Maris, Amoudara, Crete, July 1st, 2016. “Sustainable winegrowing is a good tourism business tool. The foundation for tourism business is the water, the air, the soil, culture and the local people who live among and interact with them. Agriculture, as you mentioned during the training, is the most important non-point source of pollution for the natural resources of tourism business. In this case, we have to do more than just designing and applying sustainable policies and practices inside the hotel borders. We need to make our policies and practices effective outside our property, as well. We have to affect the way farmers do farming, so they can apply practices that will pollute less, or not at all. When we promote sustainable wines, that means more sustainable agriculture and that means resources protection and tourism business protection”. Sui generis was like a streaming enthusiasm! The wine tasting event was planned for August 13th. Few days before the event I visited TUI Magic Life Candia Maris. Vefa Petrou, the Guest relation manager of the hotel welcomed me, smiled and said: “We have printed a special flyer for the guests to have on their tables. 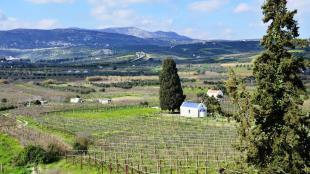 We inform them that Futouris project goals are included in Candia Maris sustainability commitment: building structures and services for the development of Crete as a sustainable holiday destination, protecting the needs of destination residents and local wine farmers and promoting the wine heritage of the island”. I was watching Vefa in the eyes, then observing her mouth, her t-shirt and her body language. One more sui generis, I said to myself… is there a “sui generis” nest nearby… or what? 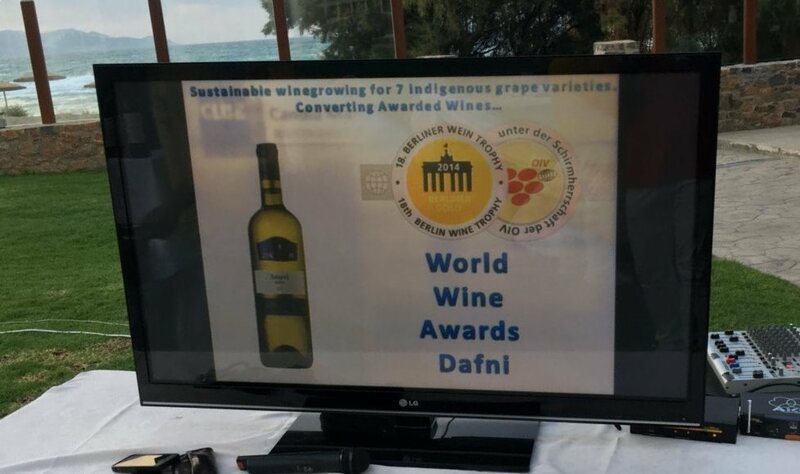 The event started with the projection of the “Sustainable Winegrowing” movie, a special production for the guests of the wine events in all participating hotels; a six minutes quick guide to the Futouris project on Crete. “Sustainable Winegrowing”. A movie style PPT presentation for informing hotel guests about the native grape varieties of Crete, the dimensions of sustainable winegrowing and the arising benefits for the destination. 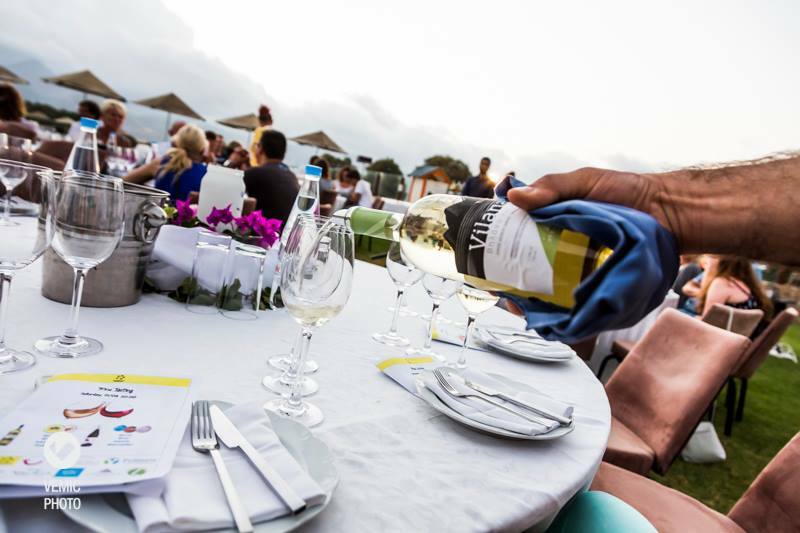 Yannis Epitropakis, sales manager of Lyrarakis wines was present again, as in most of the events that had taken place in the rest of the participating hotels. He was describing the origins and characteristics of each native wine. He was missing the dinning part, though, since he had to choose; either performing and presenting native or eating! 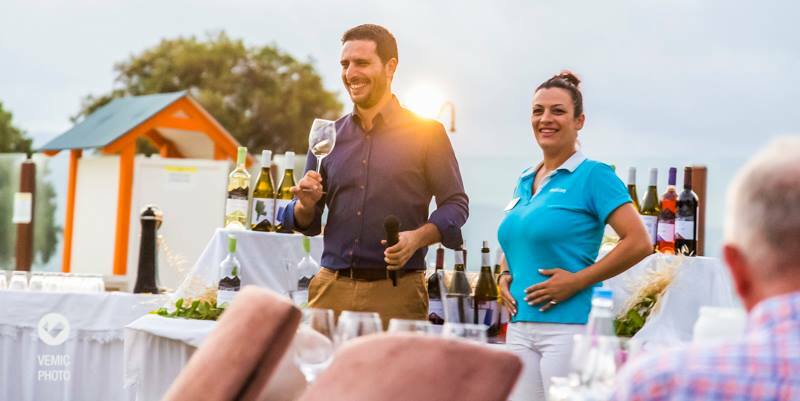 Yannis Epitropakis, sales manager of Lyrarakis wines (left) presenting the native wines together with Vefa Petrou, Guest relation manager of TUI Magic Life Candia Maris. 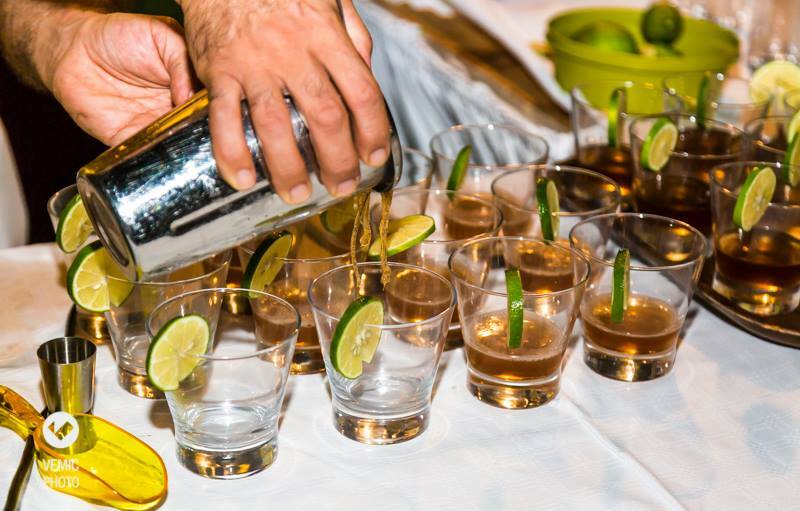 On the day of the event, the Chef de cuisine of the hotel, Vaios Koukoumtzis had prepared exclusive dishes for each of the five native wines of the degustation. 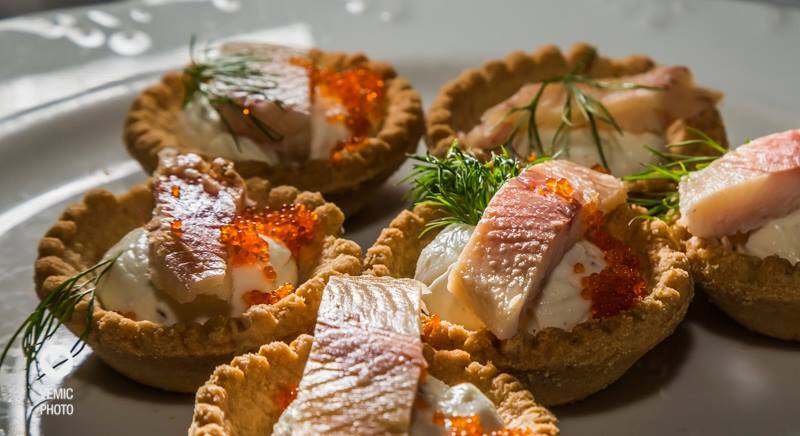 Trout tarts were accompanying Vilana wine during the wine tasting in TUI Magic Life Candia Maris. At the end of the event the chef offered a “Sour Grape Fizz Coctail” having as the main ingredient the “agourida”, that is the sour juice of immature grapes, a unique Lyrarakis winery non-alcohol product. “Sour Grape Fizz Coctail” is prepared with “agourida”, the sour juice of immature grapes, a unique Lyrarakis winery non-alcohol product. The „lemon of the summer period“, as overaged Cretans used to say for this almost forgotten traditional gourmet delight. Sui generis had orchestrated a beautiful evening. Not just by himself, though… But, with the assistance of many “sui generis” of the same kind in one place…. 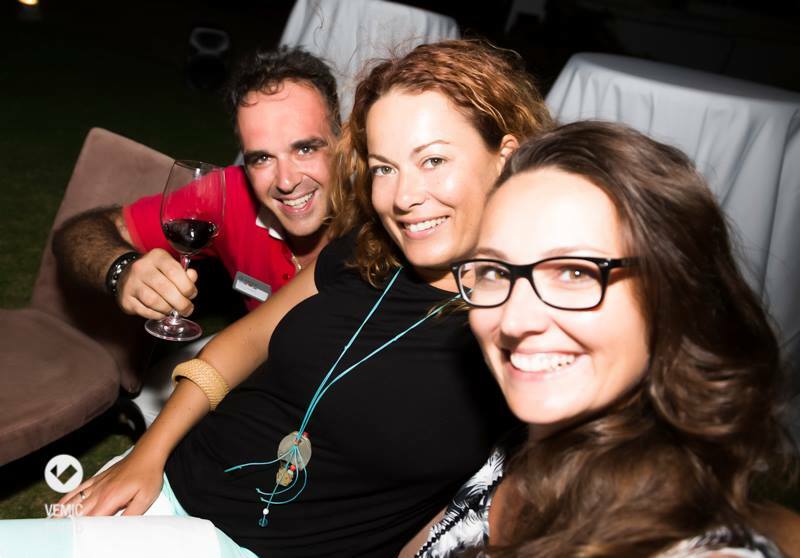 “Sui generis” Serafim Karouzakis, General Manager, celebrates life with hotel guests, during the wine tasting event of the Futouris project. TUI Magic Life Candia Maris, August 13th, 2016.